a consistent top producer covering Northwest Corner communities and has developed an expertise in lake properties, farms and acreage. Karen is proud supporter of Goshen Hospice. as "The Broker's Broker". 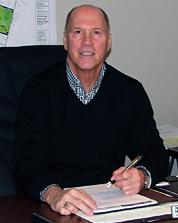 Published in the New York Times, Barron's and the Wall Street Journal, Stephen has been serving the Litchfield County and Woodridge Lake communities since 1974. Connecticut is a consumer protective state. Trust your real estate dealings to someone familiar with all current state and local laws. Your real estate professional should also have a strong knowledge of current market conditions, inventory, and recent sales. 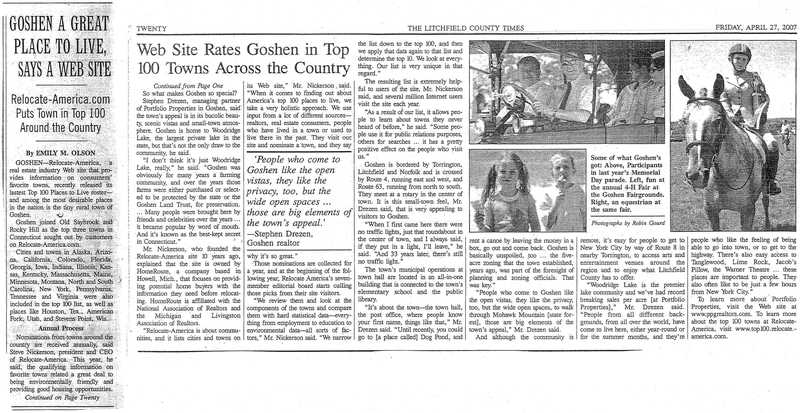 Click here to read Litchfield County Times article "Website Rates Goshen in Top 100 Towns Across the Country." WoodridgeLakeRealty.com. 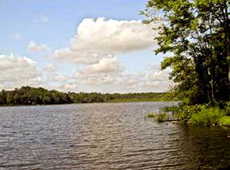 CLICK HERE to take a tour of Woodridge Lake, a private lake community in the Litchfield Hills. WoodridgeLakeRealty.com. WOODRIDGE LAKE. Lakefront sanctuary. Completely renovated with upscale appointments and the warmth of wood and stone architecture. Ideal retreat with spacious rooms, plenty of light, beautiful library, a true chef's kitchen, soaring ceilings, and outbuildings large enough for 5 cars and all the boats and toys of lakefront living. Absolutely exquisite. $1,450,000. GOSHEN. This Woodridge Lake home is available for rent by the month or by the year. Three bedrooms, living room with vaulted ceiling and fireplace, lower level family room, large deck, use of a waterfront lot. Tenant to pay all utilities and WLPOA dues. Woodridge Lake in Goshen, Connecticut Located less than 10 minutes from the Historic Town of Litchfield. Litchfield is a popular weekend destination spot and hosts the Annual Litchfield Road Footrace held each year in June. Goshen is home to the Internationally known Litchfield Jazz Festival, held each year in August and the Goshen Agricultural Fair held over Labor Day weekend. Located just a few miles away is Mohawk Ski Mountain, the Housatonic River (known for world class fly fishing), hiking on the Appalachian Trail and a short distance to the Berkshires as well. $699,000. WASHINGTON. This classic country cape has all the bells and whistles. It has three bedrooms, two and half baths, living room, dining room, and a master bedroom suite with full bath. It was recently renovated and has newer mechanicals, electric, windows, doors and additional insulation. The kitchen has granite counters, stainless steel appliances, a breakfast bar as well as a breakfast nook with a corner cupboard. There is also a dining room with a brick accent wall . The living room has a gas fireplace. The home has hardwood floors both upstairs and down stairs and features a renovated classic car heated attached garage. The exterior of the home features zeroscape landscaping, an in ground pool with a new pool cabana, plus a great space just off the ground floor for alfresco dining, relaxing in a hammock or sitting by the firepit on cool evening. The home is on 5.03 acres and abuts Steep Rock Nature Preserve and is close to the Shepaug river. You also have access to the beach at Lake Waramaug. $619,000. GOSHEN. Sun-filled contemporary brings the outside inside. Very private location with 12 acres surrounded by protected lands. Inlaid brick floors, newer kitchen with granite and s/s appliances, brick fireplace, oak paneled library, master suite with dressing area and built-ins. Open meadows, barn, inground swimming pool, in-law or caretaker apartment, 3 car garage. Lovely. $499,000. WOODRIDGE LAKE. Winter Special! Act Now - One Month Only! Woodridge Lake Cottage with a in-ground heated pool. Beautiful grounds.. 3000 plus total square ft. Recent total renovation. Walk to Sunset Beach. Must see! Owner-Broker - $298,500. GOSHEN. Lovely ranch style home on beautiful site with stone walls, sunny yard, seasonal lake views. Three bedrooms, two full baths, large sunny great room with fireplace, new kitchen with stainless steel appliances and granite counters, deck/porch, laundry room with washer and dryer. Lease, references, security, excellent credit required. $1,800 per month. GOSHEN. This Woodridge Lake home has direct ownership of a lakefront lot directly opposite the home. With a two to three year waiting time to acquire dock space at the Woodridge Lake marina, this opportunity won't wait long.The home features 4 bedrooms, 2 and a half baths, vaulted ceiling in living room with sky lights, sliders and an open floor plan. Huge screened in porch off patio deck, large bedroom on first floor, with an alternative master on the second level. Lower level den and laundry, two car garage. A great buy for those discerning waterfront buyers that do not wish to spend $1M plus for direct waterfront. A must see. Don't wait, time is of the essence. $699,000. One call gives you up-to-the-minute information regarding any available property in Connecticut. 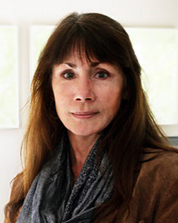 ©2014 Karen Newton, Associate Broker. All rights reserved.